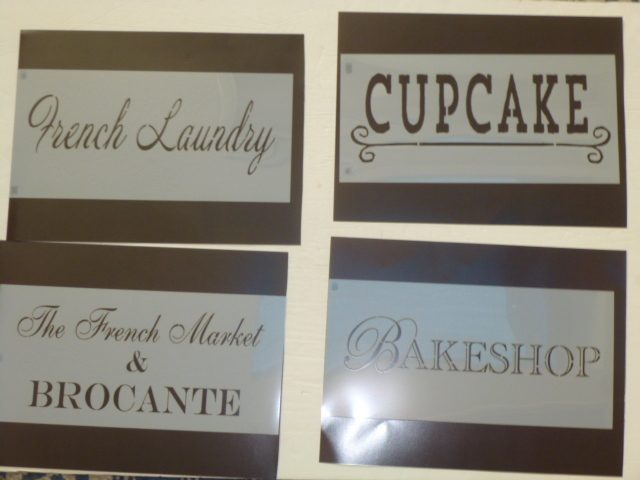 I took advantage of ‘Maison de Stencils’ recent sale to add some new stencil designs to my repertoire. 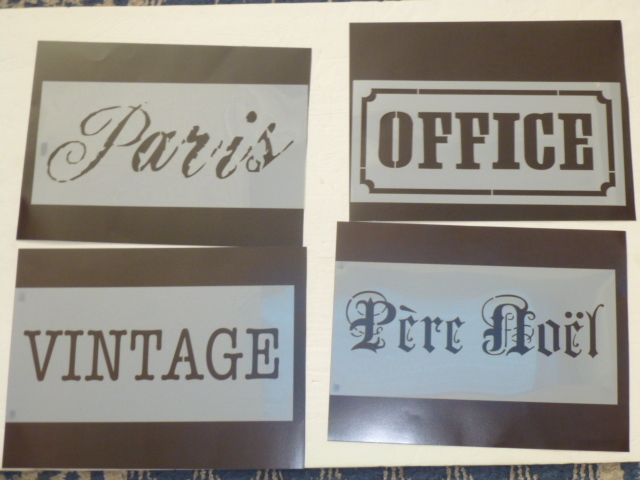 You would think that 5 or 6 different “Paris” stencils were enough?!?! But I really liked this font . . . . and they were on sale! I know that doesn’t look like a WHOLE lot, but even on sale this batch of stencils cost me over $120.00! So be sure to watch for those sales. Sign up for their email list to get sale and new stencil notifications.